The war of words between former U.S. security officials and President Donald Trump showed no sign of abating Friday, as Trump promised he would move "very quickly" to revoke the clearance for a Justice Department official whose wife worked for the firm involved in producing a dossier on Trump's ties to Russia. Signaling that his efforts to target clearances over his frustration with the Russia investigation were not over, Trump tweeted it was a "disgrace" for Bruce Ohr to be in the Justice Department. His comments came two days after he yanked the security clearance of former CIA Director John Brennan, saying he had to do "something" about the "rigged" U.S. federal probe of Russian election interference. Ohr has come under Republican scrutiny for his contacts to Glenn Simpson, co-founder of Fusion GPS. The opposition research firm hired former British spy Christopher Steele during the 2016 U.S. presidential campaign to compile the dossier on Trump and his Russia ties. Former U.S. security officials on Thursday issued scathing rebukes to Trump for moving against Brennan. Trump's admission that he acted out of frustration with the Russia probe underscored his willingness to use his executive power to fight back against an investigation he sees as a threat to his presidency. In an opinion piece in The New York Times, Brennan said Trump's decision to deny him access to classified information was a desperate attempt to end Mueller's investigation. 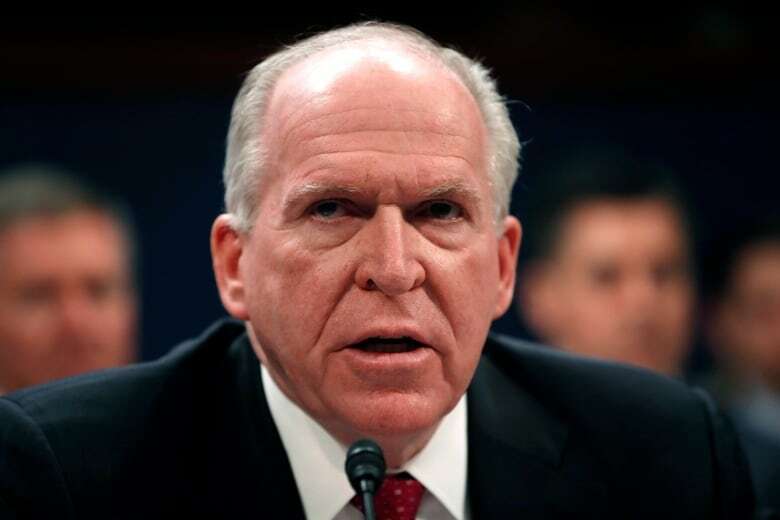 Brennan, who served under former president Barack Obama and has become a vocal Trump critic, called Trump's claims that he did not collude with Russia "hogwash." Also Thursday, the retired Navy admiral who oversaw the raid that killed Osama bin Laden called Trump's moves "McCarthy-era tactics." Writing in The Washington Post, William H. McRaven said he would "consider it an honour" if Trump would revoke his clearance as well. That was followed by a joint letter from 15 former senior intelligence officials calling Trump's action "ill-considered and unprecedented." They said it "has nothing to do with who should and should not hold security clearances — and everything to do with an attempt to stifle free speech." 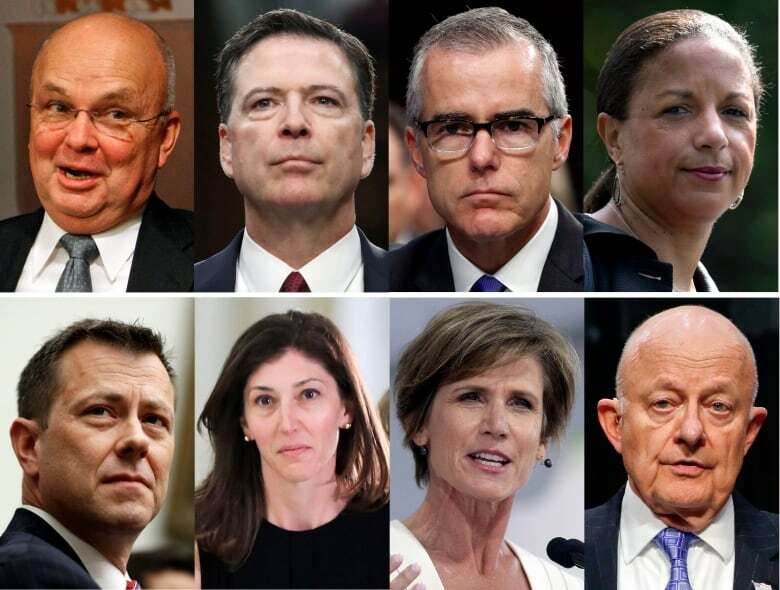 Clapper and former CIA Director Michael Hayden have appeared on a White House list of people who may also have their security clearances revoked. On Friday, 60 former CIA officials issued their own statement, joining a chorus of opposition from the intelligence community to Trump's decisions to threaten to or actually pull clearances. They said former government officials have a right to express unclassified views on national security issues without fear of being punished for doing so. They said they did not necessarily concur with all the opinions expressed by Brennan, or the way in which he expressed them. But they said they believe the "country will be weakened if there is a political litmus test applied before seasoned experts are allowed to share their views." The president's comments were a swift departure from the official explanation given by the White House earlier Wednesday that cited the "the risks" posed by Brennan's supposed "erratic conduct and behaviour." It marked the latest example of the president contradicting a story his aides had put forward to explain his motivations. Patrick Cotter, a former assistant U.S. attorney in the Eastern District of New York and a longtime white-collar defence attorney, said that while a prosecutor could argue that Trump's targeting of clearances was intended as a warning that "if you contribute to, participate in, support the Russia probe and I find out about it, I'm going to punish you," it is likely not obstruction in itself. But he said the move would be a "powerful piece of evidence" for prosecutors as part of a pattern to demonstrate an intent to use presidential power in connection with the probe. ​Renato Mariotti, a former federal prosecutor, agreed. "What it shows is that the president is fixated on the Russia investigation; he's angry about it, and he wants to do everything he can to discourage or slow down the investigation," he said. "I don't think it advances the criminal obstruction case, but I think it's factually relevant," said Mark Zaid, a national security attorney. "I think it shows the state of mind and intent to interfere or impede any unfavourable discussion of his potential connection to Russia."